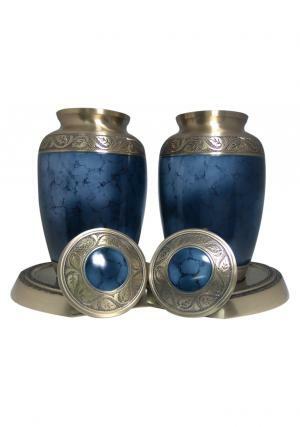 Grecian Blue Companion Urn set combines two brass large urns with pearl blue finish and beautiful floral brass bands decorated at top & bottom. 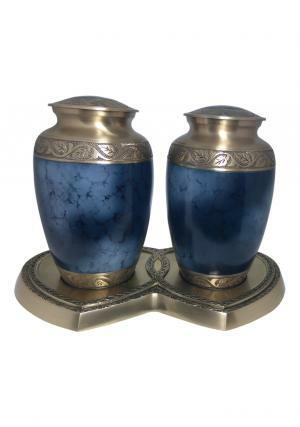 The Blue urn are made of 100 % brass with the trim of gold finish. 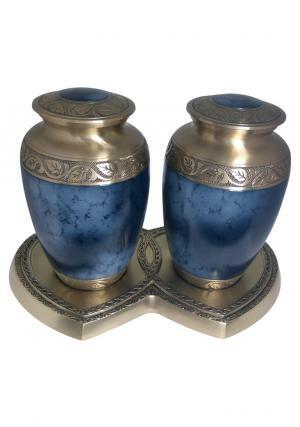 The two urns are combined with a brass engraved in flowers and thread labeling on the brass stand. 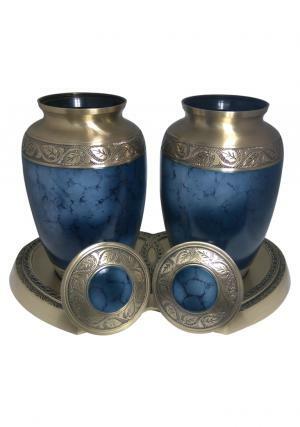 The Grecian Blue Companion Adult twin urns are with threaded lids each and decorated in encryption of flowers. The lids on the urn are part of secure closure of top and insertion of loved one’s cremated ashes. 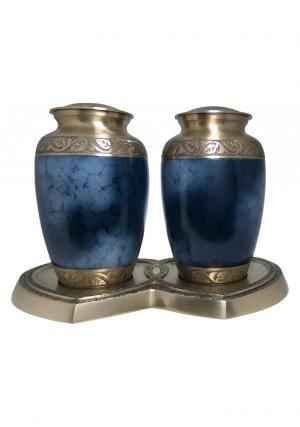 The Twin Companion Grecian Blue Large Adult Urn weighs 7.73 kg, 10 inch tall and 6 inch width each. The urns carry approximately 200 cubic inch ashes of adult human in each.